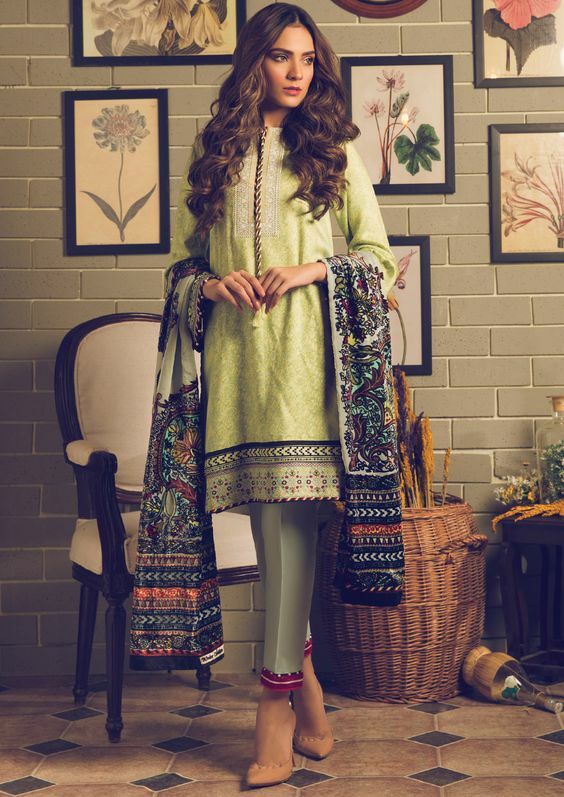 Fashion trends have been changing every month and every season similarly kurta designs are varying as we are going to discuss here Pakistani kurta designs for ladies 2018. Current year, fashion trends kept on changing in Pakistani fashion industry with the revival of some traditional cuts in dresses. Pakistani girls were found much keen and enthusiastic to wear such outfits. Generally speaking and it is true that we can never ignore the importance of our norms and their deep connection with our dresses, food, religious obligations, and way of living. Pakistani kurta design is an evergreen style which is perfect to impart you with a terrific look. Young girls and middle-aged women like to wear this elegant simple attire on every occasion. It is a beautiful choice for formal, semi-formal and casual wear. I hope that you will feel very good to make this attire part of your wardrobe. You have lots of choices to wear your kurta in creative combinations. For a gorgeous slaying look, western style of carrying kurta is best. Wear it with pretty cowl scarf around the neck which can be selected according to the season. As in winter season, woolen and warm clothes are preferred. Different Pakistani designers winter collection has been launched and most recent lavish design kurtas are being sold in markets. Find most accessible designer outlets around your town and don’t forget to avail special discounts available at the start of the season. If you want to look young and modest, go for shopping latest Pakistani kurtas with different designs and styles. 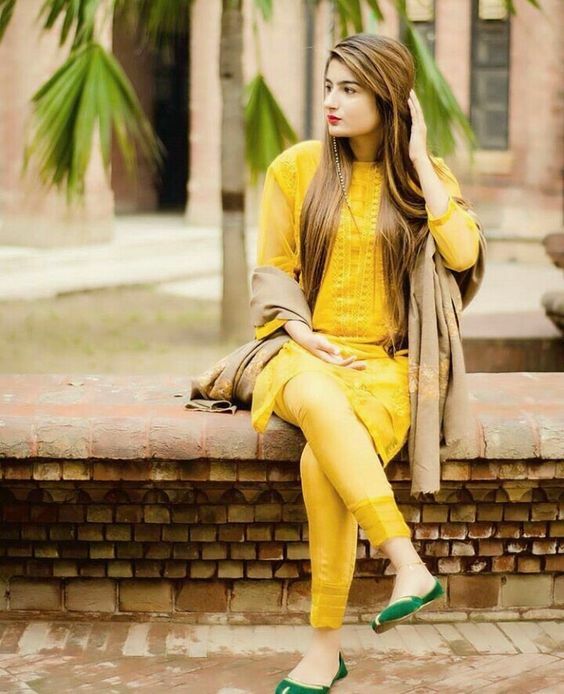 Young University and office going girls like to wear Pakistani kurta designs for ladies 2018 because they are not only comfortable but also adore them with a touch of modernity. They do lots of experiments with it in order to look perfect and beautiful. This changes their look and they also become attention gainers among the ladies of their social circles. Fashion designers are working hard to produce unique prints and grow our fashion industry and win this fashion race with other competitors. Selection of unique hues and dazzling combinations of colors assure the outstanding look of attires. Summer style kurtas and winter styles are the combinations of all designer embellishments, patterns, and embroidered sequences. They can be worn with different functions and events. For women having an age of above thirties, some decent and overall sober designs are more suitable. This adds style and beauty both to their look. By careful selection of these kurta designs, they can just slay others with an eye-catching look. Stylish kurta designs are an answer to ladies question of looking young and smart. Loose and open kurta designs give an ever bright decent look. It solves their problem of selection of dress and women also get their conscious level satisfied. Different printed and embroidered kurtas are available in markets locally. 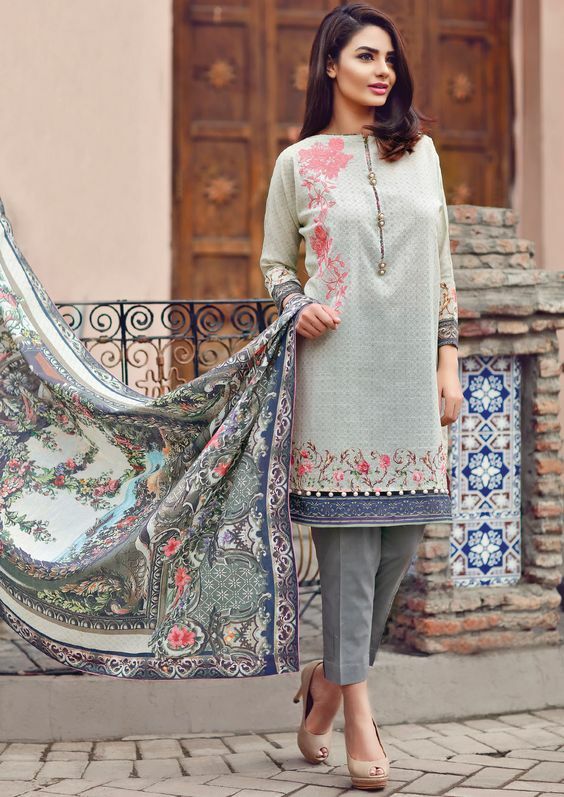 Digital prints on silk kurta stuff are common in summers. Girls like to wear them due to their comfortable and cozy look. With arrival of winter, different woolen stuff are in demand. Ajrak printed cotton kurtas represent beautiful Sindhi culture. You can pair these Ajrak printed kurtas with small stoles and tights or straight white trouser or even tulip pants. You people can check out the Tulip Pant Designs here to match this with your winter kurtas. Available at affordable prices in the market. Khaddar becomes immensely available all around the shopping centers just in the beginning of new season. These ready to wear khaddar kurtas are perfect to shop for busy ladies who do not have enough time to go to tailors and guide them to stitch according to their needs. Different kurtas with patterns like block print, lining, zigzag and other simple patterns can be worn on casual as well as formal wear. 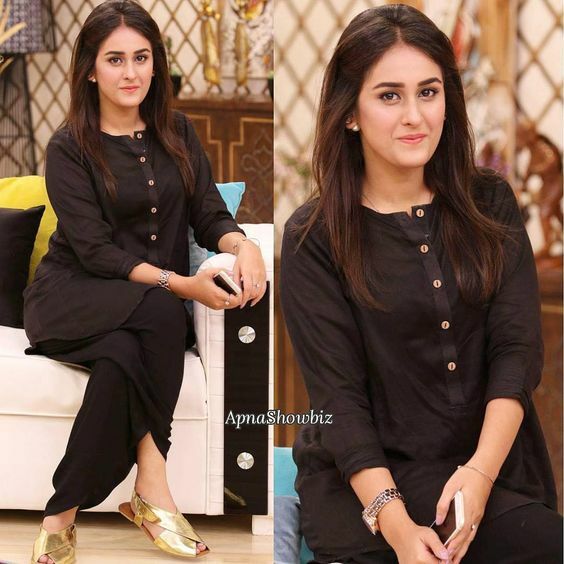 Pairing such kurtas with light-weight jewelry designs and high heels go well with routine and are easy to carry. Metro has recently launched their metro winter shoe collection so you people can try out this with kurtas and walk with grace. If you are planning to attend a party, adding a little funky look to your dress is best. For this, pair the loose dazzling color kurta with belt and palazzo. Wear fancy clutch with long chain on your shoulder and take lots of selfies with your friends, upload them to social media including Facebook and Instagram and get hundreds of likes to become a fashion icon. Wow! It will make your day for sure. With the arrival of summers we use to look such kurta designs in Cotton, Cambric, and Lawn. Always prefer to search some stunning summer styles so what they do? They search for top brands like Khaadi, Sana Safinaz Lawn, Nishat Linen pret and much more to buy these amazing kurta styles. From our platform, we are going to let you know what else you should choose for summers. Huge variety use to be available in summer so everyone has to do wise selection in order to get the best option for wardrobe. I hope you will have a very good experience with these pretty Casual wear kurtas. Some pictures of latest arrivals of Pakistani kurta designs are here below. Have a look!! Top Pakistani clothing brands are producing handsome kurtas which are liked by Pakistani women of all ages. These are the Pakistani Kurta Designs For Ladies 2018. Hope you will all like them. If you want to buy, look for their online catalogs available on their websites or visit their exclusive outlets near your area. You can order customized kurtas solely stitched for you with perfect tailoring cuts and embellishments. Selection of embroidered or stonework neckline is the best option available. Select colors which you can wear on every occasion or place. It will not only look good for official meetings but you can go to meet your relatives or have a wonderful get together.